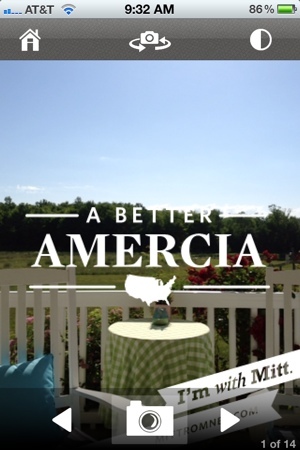 Mitt Romney want your vote, but he misspells America on his new app. At least we know for sure he meets the definition of a natural born citizen. The screen shot was made from the app off of the porch with no chemtrails. At least so far.